Open the door to greater filming possibilities with the 2-Axis Gimbal. Capture crystal clear images and smooth video footage. The Traxxas 2-Axis Gimbal for the Aton is engineered to keep your shot steady and smooth by absorbing front-to back and side-to-side movements during flight. Setting the angle of the camera and the gimbal will maintain that position during flight. 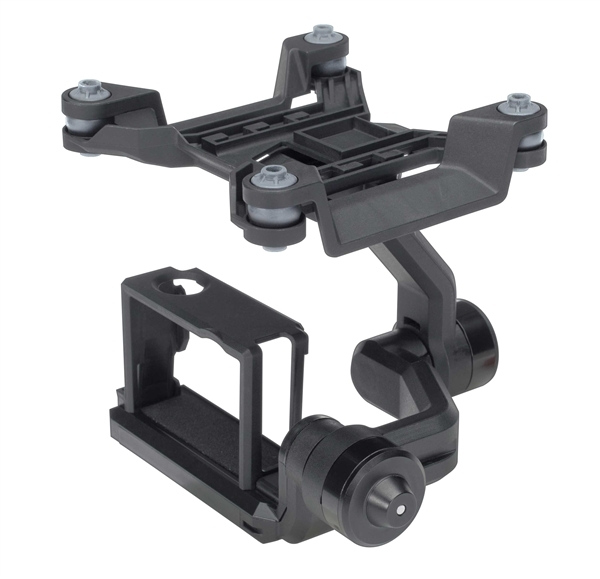 The 2-Axis Gimbal is designed for use with the GoPro® and other action cameras.